The author of the innovative Blanche White series of mysteries, Barbara Neely is an award-winning writer and activist who’s penned everything from novels to short stories to plays. 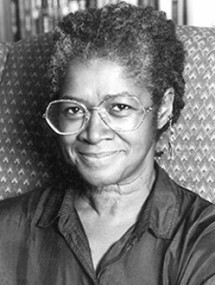 Neeley’s popular Blanche White mystery novels are beloved by fans in part because of her unique heroine – a strong and independent African American woman who works as maid and an amateur sleuth. The first book in this series, Blanche on the Lam, won the Agatha, Macavity, and Anthony Awards. 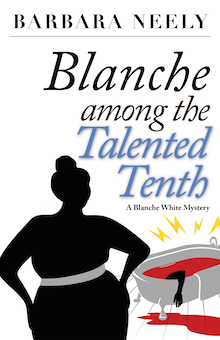 Critics and fans continued to cheer on the feisty detective as she unraveled conspiracies and scandals in three more mysteries in the series… Blanche Among the Talented Tenth, Blanche Cleans Up and Blanche Passes Go. The multi-talented Neely has also authored a number of short stories that have appeared in anthologies, magazines, university texts, and journals. In addition to her writing career, Neely designed and directed the first community-based corrections facility for women in Pennsylvania and was the director of Women for Economic Justice, a Boston-based women’s advocacy organization. She also produced radio programs for Africa News Service and was the host of Commonwealth Journal, an award-winning weekly interview program on the radio station of the University of Massachusetts, Boston. In honor of her activism, Neely received the Community Works Social Action Award for Leadership and Activism for Women’s Rights and Economic Justice, and the Fighting for Women’s Voices Award from the Coalition for Basic Human Needs. Barbara Neely’s skill is a force to be reckoned with!